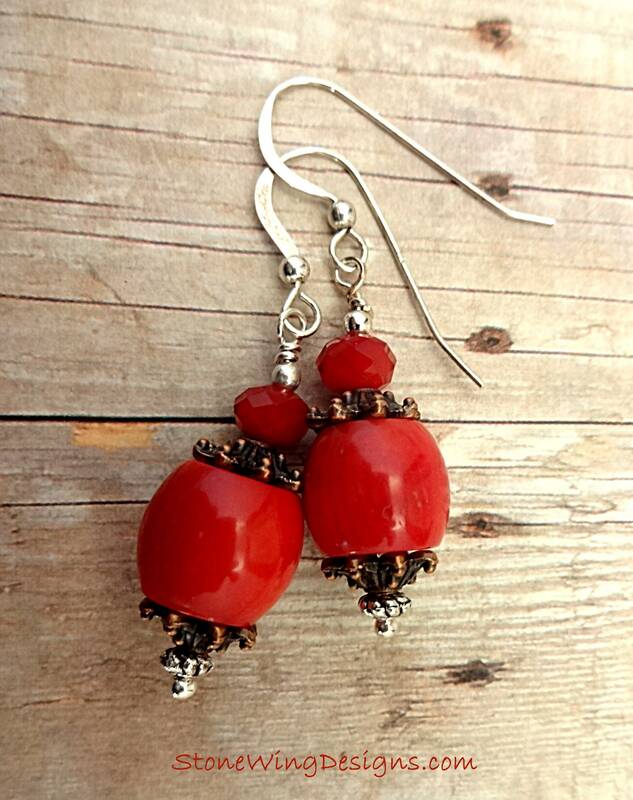 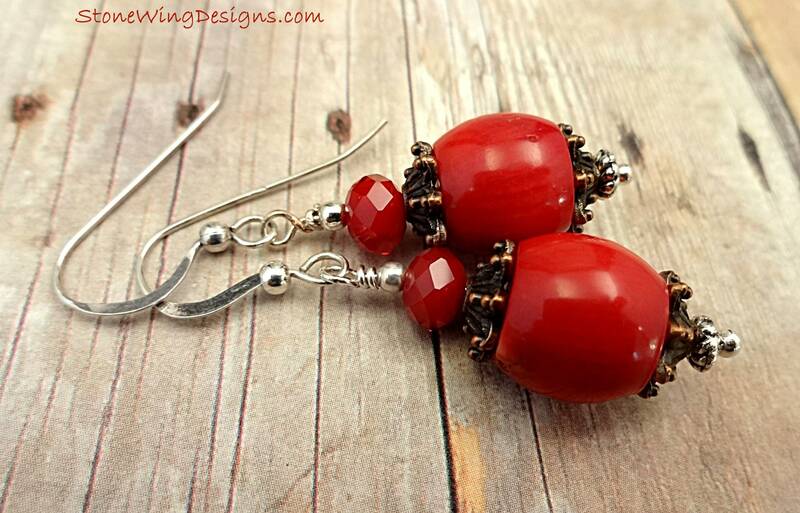 These earrings feature red Coral barrel shaped beads topped with Czech Firepolish rondels. 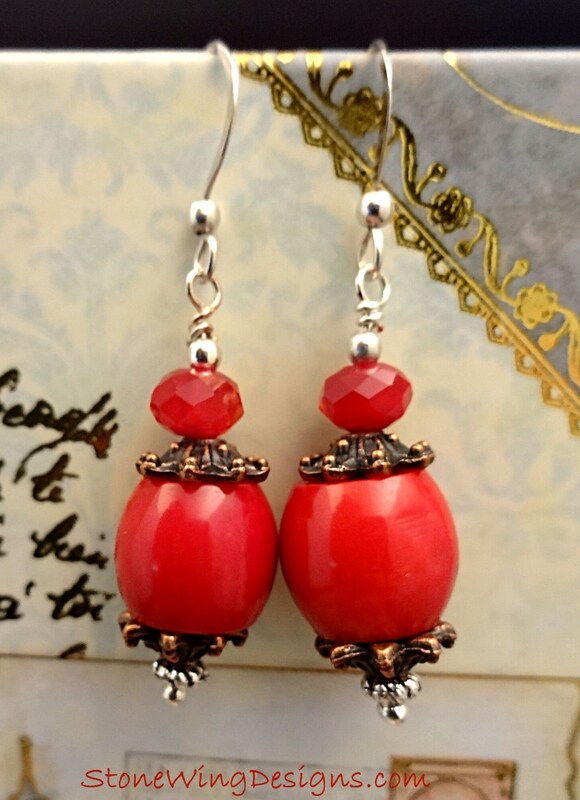 Large Copper bead caps and silver beads bracket the coral beads. 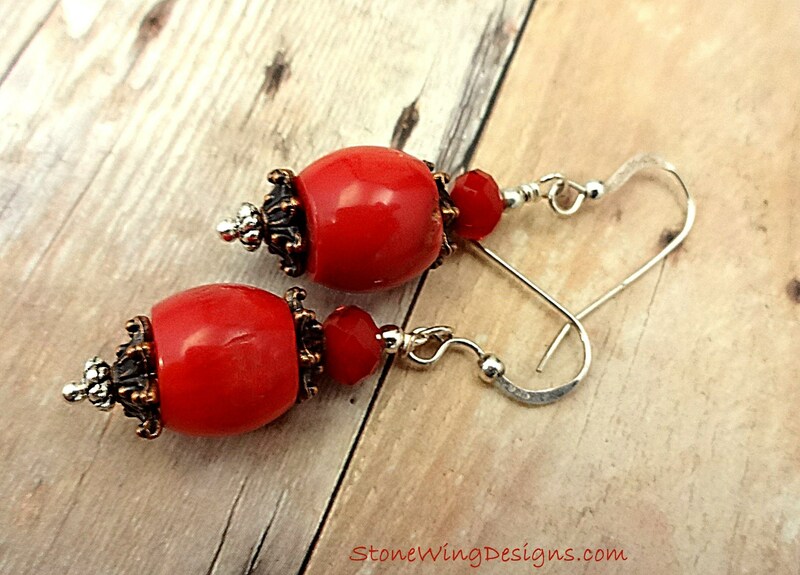 Simple but with mixed metals they make a subtle boho statement.